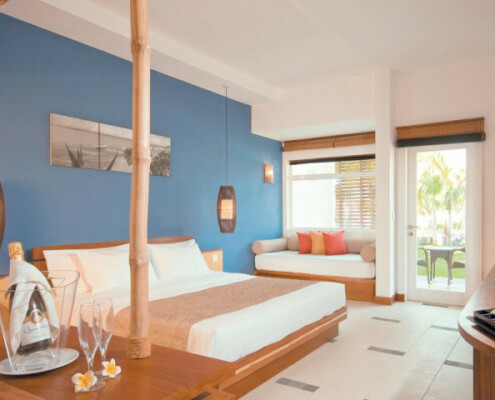 Set against the scenic backdrop of the Grand-Port mountain range, the Laguna Beach Hotel & Spa is a gem of its kind; a postcard beauty with a real soul. 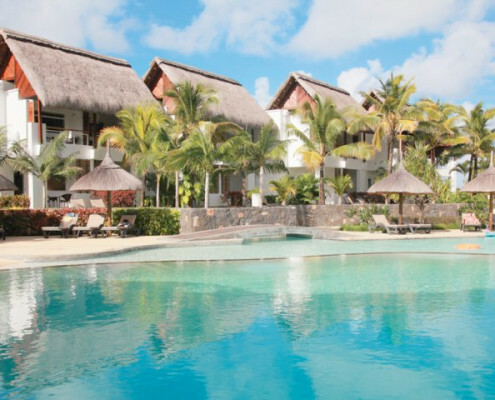 Set in tranquil surroundings, the Laguna Beach Hotel & Spa is bordered by a turquoise lagoon and breathtaking views of the hills and mountains. 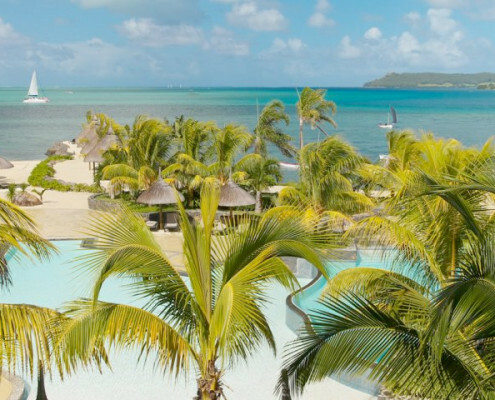 The hotel is located at Camp des Pêcheurs near the Grand Rivière Sud Est, on the South East Coast of Mauritius, 30 minutes from the airport and a 15 minute boat trip to Ile Aux Cerfs. 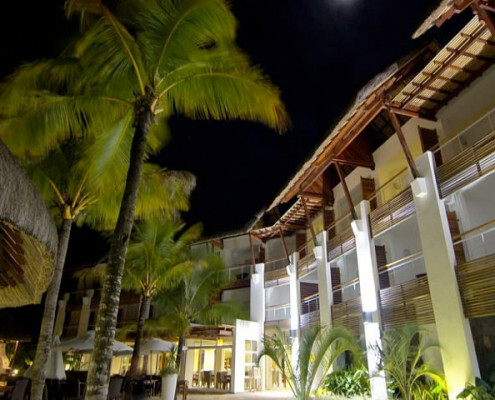 The hotel features Standard rooms, Deluxe rooms and Family rooms, all sea facing with a balcony or terrace. 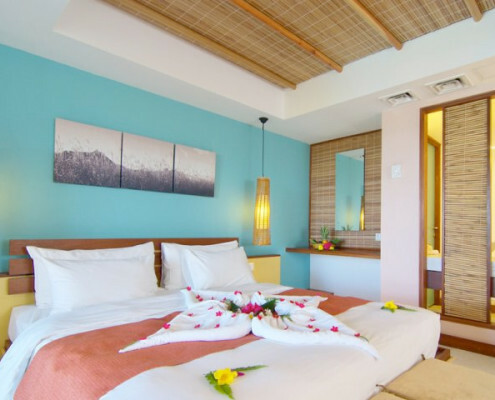 All rooms are equipped with individual air-conditioning units, IDD telephone, electronic safe, mini-bar, hair dryer, TV with local and satellite channels, and tea/coffee-making facilities. The Sardinella Ristorante is our main restaurant and offers a daily themed dinner buffet. 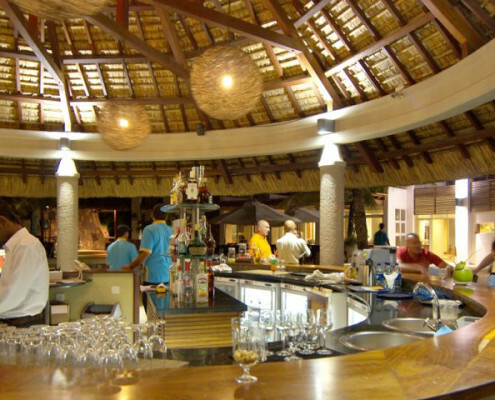 Wahoo Beach Bar & Grill is our resto-grill offering a seafood and meat menu. A beach dinner is available twice a week. For snacks and sandwiches or afternoon tea, sample the relaxing atmosphere of the Dorado Pool Bar. Swimming pool with kiddies pool, kayaks, pedalos, snorkelling, glass bottom boat, windsurfing, deep sea fishing, golf, parasailing, water-skiing, undersea walk, tube & banana rides, scuba diving, bikes, boat trips, a sunset cruise on a catamaran or pirate sailing boat, fishing expeditions on a pirogue (a traditional Mauritian boat), table tennis, beach volley, Pétanque, pool table and indoor games. Evening musical entertainment includes a Sega Show once a week with cultural shows during the week. 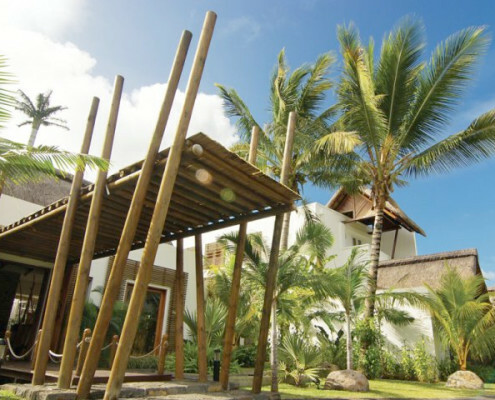 The SeaZen Spa Retreat offers Mauritian, Swedish, traditional Indian, Shiatsu and Ayurvedic massages. Body treatments include body scrub, mud bath and honey bath. Spa facilities include massage rooms, a relaxation room, Hamman and a gym. The Laguna Beach Hotel & Spa invites you to celebrate your special day and enjoy romantic and memorable moments with your loved one in a beautiful and exquisite hotel setting. We offer a range of wedding packages at the hotel and will organise your wedding from start to finish; wedding ceremony, photography, marriage certificate, hair dressing, make-up, wedding cake, flower bouquets, special boat trip to neighbouring islands and a special candle light dinner on the beach with entertainment. Further facilities include laundry service, Boutique, car and bike rental desk, change room for early/late arrivals/departures, Internet corner with a complimentary ADSL connection and free Wi-Fi in the lobby, restaurant and bar.